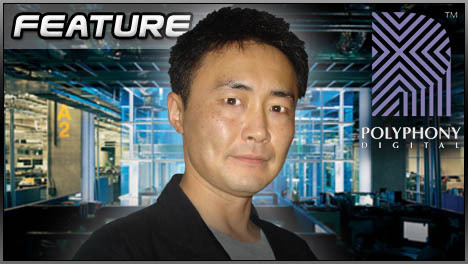 The creator of Gran Turismo 5 talks early years, sleep deprivation and networked futures. The idea beggars belief, but once upon a time, simulation supremo and professional racecar driver Kazunori Yamauchi had his sights on Mario Kart. The Polyphony Digital CEO’s first project for Sony Computer Entertainment was Motor Toon Grand Prix, which appeared alongside the original PlayStation in Japan, 16th December 1994. With its grinning engine grills and rubbery hubcaps, Grand Prix was far from the game Yamauchi dreamed of making, nor was it backed by the full force of Sony’s fledgling videogames division – PD itself had a staff of just 10 when it was incorporated in 1998. Nevertheless, the 25-year-old college graduate went to work with a vengeance. “The year and a half that it was in development,” Yamauchi remarked this month to Autoweek, “the last three months as the release date approached, myself and my staff were getting three hours of sleep a day to try and get the game done. Near the end, the people from Sony came to our development studio and told us it was good enough and that we could release it. “At the time,” he went on, “I probably wasn’t thinking very clearly, being as exhausted as I was, and I talked myself into thinking this was good enough and it went to release. But all the things I thought were not enough yet, the users said the exact same thing when the game came out. It may have failed to live up to its creator’s expectations, but most reviewers of the day were impressed by Motor Toon Grand Prix, praising the driving model beneath that Loony Tunes veneer. Recognising greatness in the bud, Sony handed Yamauchi and his team a golden ticket – an open brief to develop Gran Turismo. It took them five years, presumably at further dire cost to sleeping patterns. The results, of course, were worth the effort. Go on, try recalibrating the suspension on that. The release of Gran Turismo is often cited as a watershed moment in gaming’s drift towards the ever inadequately-defined mainstream. 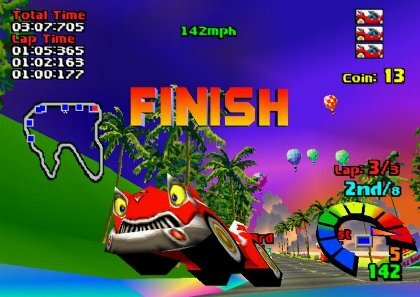 Styled like a car catalogue, licenses fighting for space on photo-realistic bodywork, it was an immediate hit among racers of a virtual persuasion or otherwise, and went on to sell over 10 million units worldwide. GT’s success did more, though, than confirm the industry’s place in popular culture. It taught Yamauchi and his team that where the design and production of videogames is concerned, no stone should be left unturned, no rough edge tolerated, and damn the consequences to budgets and release cycles. If Peter Molyneux turns up the phrase “overweening ambition” in the round of developer word association, and David Jaffe “controversy magnet”, then the PD boss tends to be found alongside “perfectionism”. Not everybody is enamoured of Yamauchi’s zeal, as attested by guarded praise for the latest Gran Turismo – another five years in the making, and plagued by anachronisms like cursor-driven menus on the one hand, and apparently pig-headed design calls like a progressively unlocked damage model on the other. The problem may be less, as Rupert puts it in our own review, that perfection is unrealisable, as that Yamauchi’s particular brand of perfection is “particular” to the point of perversity. At the risk of getting into yet another debate on the nature of art, it’s fair to say that all artists benefit from a little outside input, a sprinkle of healthy creative opposition, even those not tasked with making money out of a $60 million investment. Yamauchi seems to have spent the past half-decade in an intellectual greenhouse, accompanied only by those already steeped in the pecularities of his vision. Posted in Features, Interviews, Top 5, and tagged with gt5, gt5 review, new gran turismo, PlayStation 3, PS3.